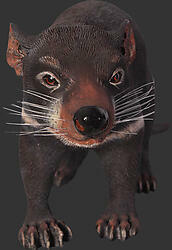 The Tasmanian Devil is an Australian carnivorous and nocturnal animal. 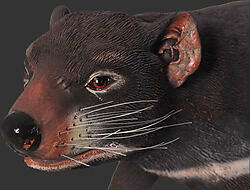 They are stocky in build, muscular, have black fur, and a keen sense of smell. 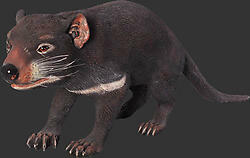 The Tasmanian Devil is usually a solitary animal but has surprising speed and endurance. They can climb trees and are great swimmers. They prefer a habitat of an open and dry forest. This Tasmanian Devil statue is made from durable materials using cast resin mold mixed with fiberglass, then hand painted to the highest detail by professional artisans whose skills have been passed down to them for generations.